Hey TV20 fans, you might’ve noticed a few new pieces of programming we’ve been airing, and we’d like to take this time to properly introduce them. After a brief hiatus, CMSD-TV News returns to TV20! Hosted by Shannon Kantner, CMSD-TV News highlights the events, opportunities, and of course, news, for the Cleveland Metropolitan School District and its students. Expect to see job and internship opportunities, improvements to CMSD schools, and even the occasional field trip. To stay up to date on all things CMSD, you can head over to their Facebook, https://www.facebook.com/clevemetrosd/. 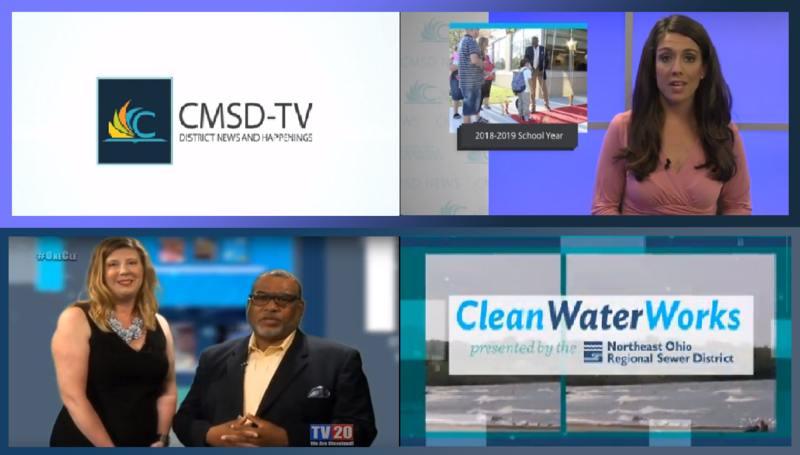 Finally, to watch more CMSD-TV programming, you can find their full broadcasts at http://www.clevelandmetroschools.org/cmsdtv. In a collaboration with the Northeast Ohio Regional Sewer District, Clean Water Works is about the people, projects, and programs that keep your water clean and your community healthy. Hosted by Jennifer Elting, Senior Public Information Specialist for the Northeast Ohio Regional Sewer District & Ray Weeden, retired Director of Operations & Maintenance for the NEORSD, Clean Water Works aims to inform & educate customers and residents alike of what it takes to maintain and operate clean flowing water in a major city. Some highlights of episode one of C.W.W. include how stream banks are stabilized & what kind of water plants reside in the City of Cleveland. For any water related questions, you can contact NEORSD at 216-881-8247 or email askus@neorsd.org.